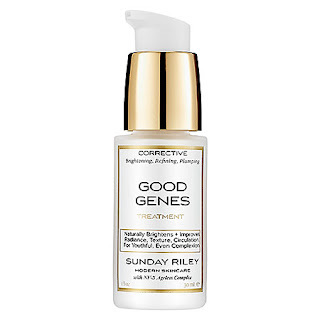 Sunday Riley Good Genes - This stuff is seriously too expensive but so far it's definitely making my skin look better and I'm starting to understand that "glow" thing everyone talks about. I'm using it every other night and if it continues to perform I'll probably buy it. 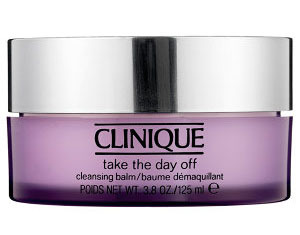 Clinique Take The Day Off cleansing balm - I reviewed this already but I wanted to give an update. I use this every night as my first cleanse to get my makeup off. I love that it's unscented and it just does such a good job without stripping my skin. Plus, it just feels luxurious. Good stuff. Skin and Bones Luxurious Moisturizer- We reviewed this oil on the blog ages ago and totally loved it. However, it's pricey and after using up what I had, I didn't repurchase. A while ago I splurged on the regular bottle and it is STILL freaking great. The scent is probably not for everyone but I adore it it's spicy/woody/jasmine thing. I usually mix a pump or two in with my CeraVe moisturizer at night but sometimes I'll use it on my arms and collarbone/chest because it feels really nice and makes me happy and my skin loves it. Just saying. Sunday Riley Luna Sleeping Night Oil - This crazy face oil that everyone is raving about is supposed to have some kind of fancy non-irritating retinol in it and I am allllll up in that. I got a sample today at Sephora (it's...blue?) and I'll be trying it out starting tonight. I will report back. (Has anyone tried it? Do tell.) 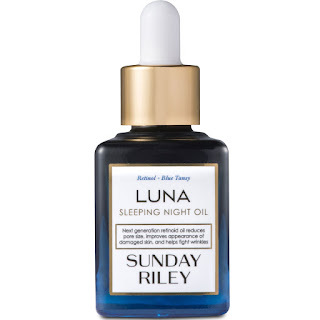 I also really want to try the Sunday Riley Juno Oil but my Sephora isn't fancy enough to carry the whole line, so Luna it is. For now. I'm bad and just ordered retinol and vitamin c serum on Amazon, $29 and $19 respectively. I've used both collectively for about five days and I already notice a difference. My face is so smooth and my freckles (age spots) are lightening. I'm sure the expensive stuff works better and is better for your skin but I haven't had any breakouts or sensitivity yet. I'm hopeful I can stick with the cheapy stuff for a while. Not bad! If you can find inexpensive products that are working well for you, go with it! I have used the Luna oil and the verdict is still out for me. My skin is super sensitive so I have had trouble w even the mild over the counter retinol products which is why I ponied up for this. A couple of times I think it has caused some break out-y bumps. I try to use it every few days. It will last a long time this way and by time it has gone I will have hopefully figured out whether it's for me or not! I looooovve the Juno Oil. I buy a bottle everytime I get a 20% off from birchbox and use it very sparingly so it lasts a long time. speaking of oils, I also love the Juice Beauty treatment oil which is much more reasonably priced (relatively speaking) so that is my go to/every day oil (super dry, sensitive skin=must have oil). Just yesterday, I broke down and bought a full size of Good Genes. I tried a sample and really liked it, sadly--I was hoping to hate if b/c of the price. But I had 20% off coupon from birchbox and some points to take away some of the sting from the pricetag. I'm going to try to use it sparingly to stretch it out. As far as retinol products go, have you looked at PC 1% Retinol Treatment? http://www.paulaschoice.com/shop/skin-care-categories/retinol-treatments/_/Clinical-One-Percent-Retinol-Treatment/ . I know people have mixed feelings about Paula, but I love the fact that you can get a decent size sample for just a small price (like, ten bucks). 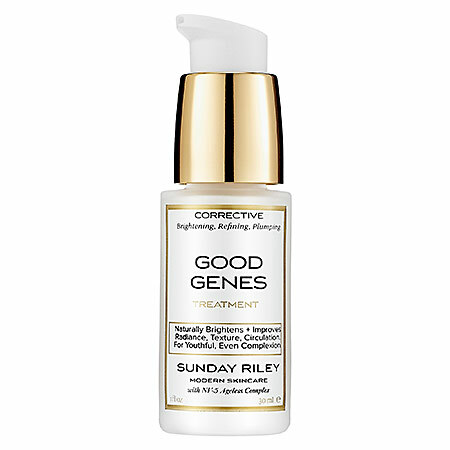 And even CH (who seems to loathe PC) has good things to say about the retinol treatment. 1% is way too strong for my finicky skin, unfortunately. I have the .5% Skinceuticals retinol and my face hates it.